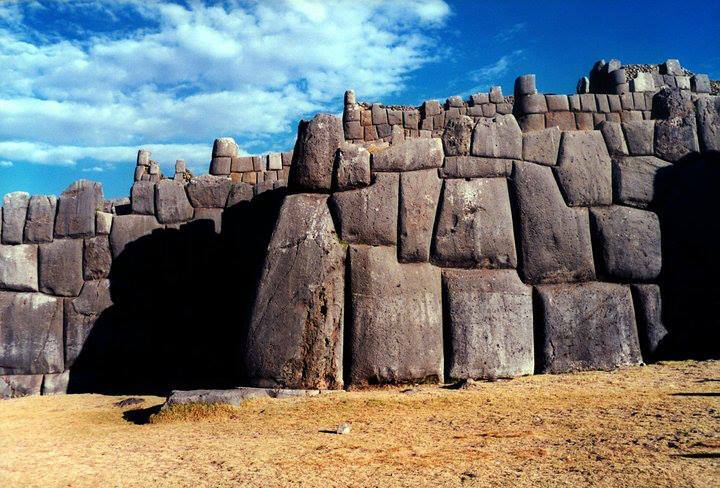 Sacsayhuaman is a walled complex near Cusco, the former capital of the Inca empire. The site, situates at an altitude of 3701m. The carved stone walls fit so perfectly that no blade of grass or steel can slide between them. There is no mortar. They often join in complex and irregular surfaces that would appear to be a nightmare for the stonemason.